For over 30 years, Renaissance has helped 27,000+ entrepreneurs, 76% of which are women, by providing critical business training, guidance and support. On average, Renaissance’s women business owners create jobs for 2-3 people in their neighborhoods, increase their income by an average of 20% each year, and buy products and services locally. April Spears grew up in public housing in San Francisco, and was passionate about cooking. 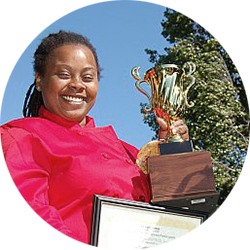 She dreamed of being self-sufficient and owning a restaurant in her community. April turned to Renaissance and began taking classes to help her build her award-winning Auntie April’s Chicken and Waffles Soul Food Restaurant. April now employs over 10 Bayview residents and is building her brand. Cristina is a Latina single mom with 3 children. She worked at a local construction company where she helped with administration, compliance, marketing, purchasing and client services. She started Renaissance’s Simple Steps/Paso a Paso classes, where she learned critical business skills. 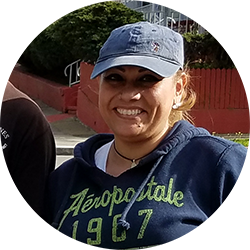 Cristina is financially self-sufficient, has been winning larger commercial projects and employs four local residents. Contact Laura Giacomini, Director of Development for more information at: (415) 348-6207 | lgiacomini@rencenter.org.